Is your system giving out bubbling noises? Does your radiator fail in heating properly? Then it must be a case where your main heating section occupied with air bubbles. The one and only procedure to get out of this fix is to completely bleed your system. Bleeding the heating system is said to be very easy aprocess. Removing air out of a heating system is something which every user hopes they knew at first when they are watching tv and a rapid stream flows through the room. The heat in your residential boiler is said to come with a flush burbling onto the radiators. The noise that was created by water flowing was a sure indication that the heating system got permeated with some air-lines. There can be many ways as to why air can get into a hot water heating system but, whatever be the reason, the whole system needs to be repaired and any microbubble that may have crept into the system must be expelled. These systems work with the mechanism that gets water driven by a circulator pump, and just when this pump experiences a slug of air it tends to get an airlock and lose its major.A way through which air could have crept into the system involve the thermal expansion tank blowing off its rubber diaphragm and banishing all the precharge that tends to come with the piping. After this scenario takes place the tank must be swapped and be reported to get all the air out. It is very much normal for your in floor heat boiler to be left out with some air bubbles from the last time it is topped up. Some reasons for that can be a leak or the ducts which are very poorly fitted. Bleeding the heating system can be a method via which the radiators can work efficiently can prevent the ducts from getting oxidized. The right bleeding technique can also save a lot of energy. Now if the attempt is to alter your own tank and after that power the system, the available water forages to the system and the valves available helps to segregate the expression tank from the system to the maximum extent that is possible. Some of the tanks which have the privilege of a proper installation is having a shutoff that controls only that specific problems and these systems are easy in changing while for some systems such is not possible and a vacuum needs to be necessarily pulled on to the system or needs to get drained off completely for performing the service. One way or the other the system will always need to be eradicated completely for putting it back to service. 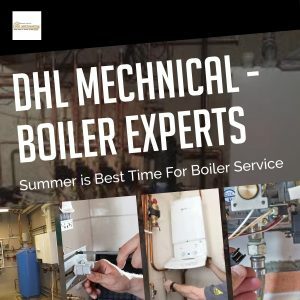 After you have decided to purge the system it is advisable of looking for a purge manual on the boiler, while some of the setup manuals will be simple and easy others will be complicated due to the presence of many sections in the system. While doing purging each and every region will be needed to get purged starting from the boiler until no air is left within the system. The eradication method is usually done by city’s water pressure or a well pump or by a well water if you are possessing a well. Another way includes recirculation pump if anti-freeze is present in the system that probably we don’t want to lose. How is the bleeding process carried out? For as long as 15 minutes let the radiator run at maximum speed with all units open wide and making sure that the boiler unit gets fired up so that water gets dispersed inside the ducts and the radiators. After that, the central heating system can be shut down letting any air or water from getting driven around the system and waiting 10 minutes for everything to get cooled down. The radiator which is nearest to the boiler needs to be operated by turning off the radiator valve and placing the tray below the bleed valve, make sure you keep a large towel in your hand. Then locate the bleed key on the bleed valve and slowly turn it to left till water comes out and not air. It is very important to keep in mind that the bleed valve should not be opened completely as there are chances that it cannot be closed again. The steps should be repeated for all radiators starting from the radiator that is nearest to the boiler and then working the way from the lowest section to the highest section. Then when all the radiators are finished with the bled, the central heating system boiler should be switched back on. At last, we should check that the water pressure inside the central heating boiler is close to the 5-2 bar or not which is the green part of the manometer but if the pointer hit the red part topping up of the boiler is required until it gets back to the required pressure level. A hose which will get connected to the boiler drain for the eradication setup which is containing a ball valve used in stopping the feed water from only going out of the hose and forcing it around the zone during the radiation and coming back out through the boiler drain forcing the air out as it goes through it. A five-gallon bucket does the job of showing you whether there is any other air bubble that is left and immerses the end of the hose in water and does the job of watching it till all the bubbles are gone. Thenit’s about proceeding to the next section. Air in the heating system can really create many problems starting from weird noises to lots of mechanical wear and tear so it is advisable that whenever you witness such sounds or malfunctionality in your system consult a technician as soon as time permits.